September 28 is the Feast Day of San Lorenzo Ruiz de Manila and his Companion Martyrs. Ruiz was a scribe and member of a rosary confraternity in Binondo in the 17th century. He left Manila to escape trumped-up charges against him along with Dominican missionaries and a Japanese Catholic layman with leprosy. They landed in Nagasaki where the Tokugawa Shogunate was persecuting Christians. Ruiz along with his companions refused to renounce Christianity, with the Filipino boldly saying he would offer a thousand deaths for Christ. For his faith, he and his fellow missionaries were tortured and put to death. In 1981, Pope—now Saint—John Paul II beatified Lorenzo Ruiz and Companion Martyrs in Manila, the first beatification ceremony outside of Europe in history. In 1987, they were canonized. 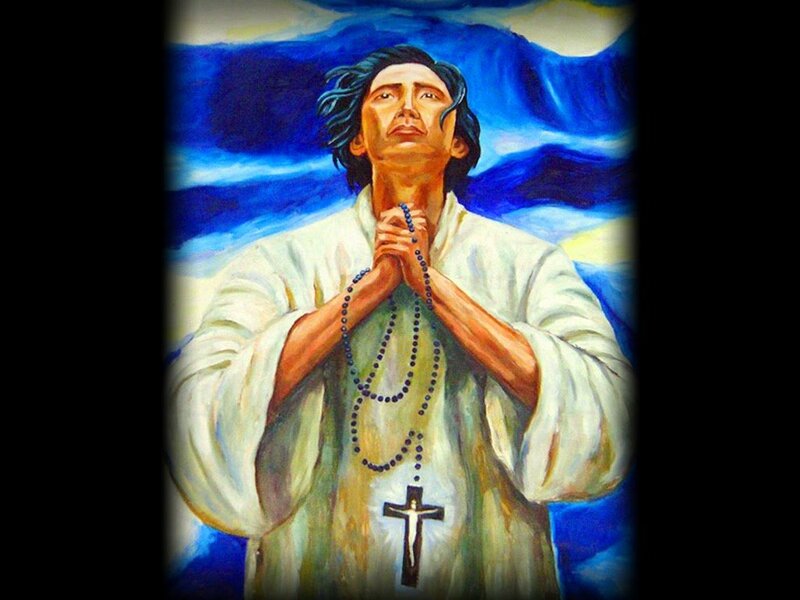 San Lorenzo Ruiz is the patron saint of overseas Filipino workers and of migrants in general.